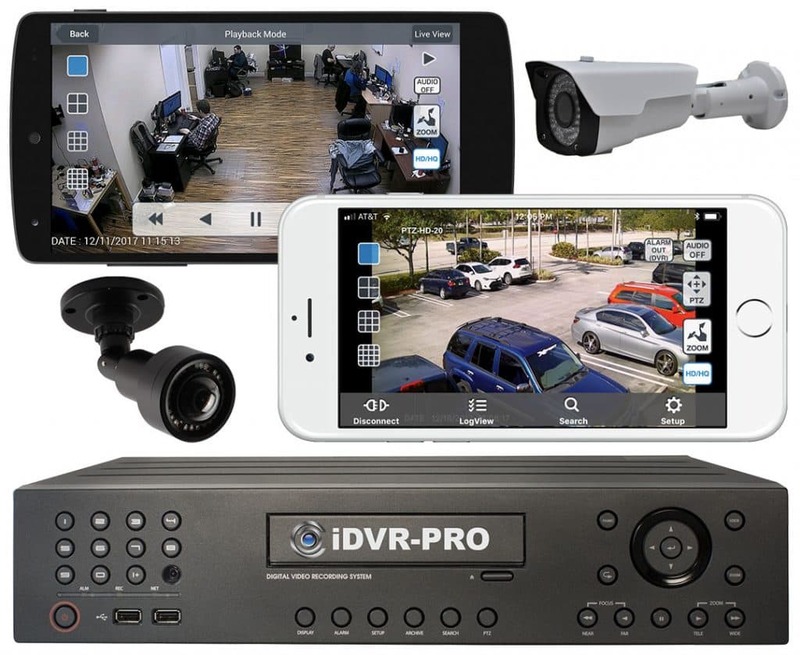 Are HD-TVI Security Cameras Better than Analog CCTV Cameras? People often ask me, “Just how much better are HD-TVI security cameras compared to analog CCTV cameras?”. 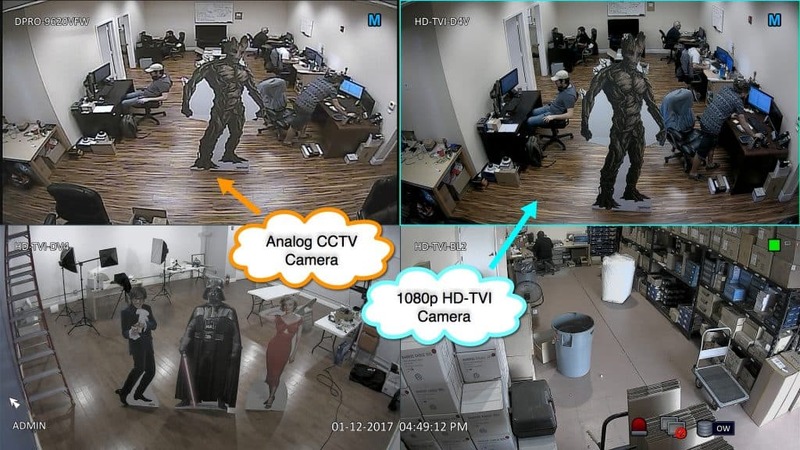 This article will answer that question by comparing video surveillance images captures by the two different camera types. Please click on the image to see the full sized image. You can do this for all images in this article. 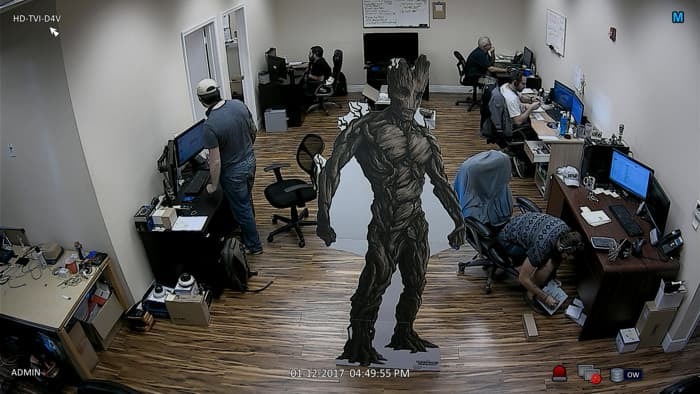 The above image was captured via a screenshot from the HDMI monitor output of an iDVR-PRO HD / CCTV hybrid DVR. These DVRs are called hybrids because they work with both analog cameras and HD cameras. This makes them very handy for comparison tests like this. It is even more useful to people that have existing analog cameras and want to add HD security cameras to their system. Both of the cameras are hard wired to the DVR using RG59 Siamese coax cable. There are other security cameras connected to this system that you can see in video positions 3 and 4, but they can be ignored for the purposes of this article. The image was captured at 1080p resolution, so in this four camera view, each camera is using 960 x 540 pixels of resolution. This causes the image captured by the analog camera to be stretched from 960 x 480 to 960 x 540 pixels. This is why our testing character, “I Am Groot”, appears to be further away from the camera even though both cameras have the same sized lens. 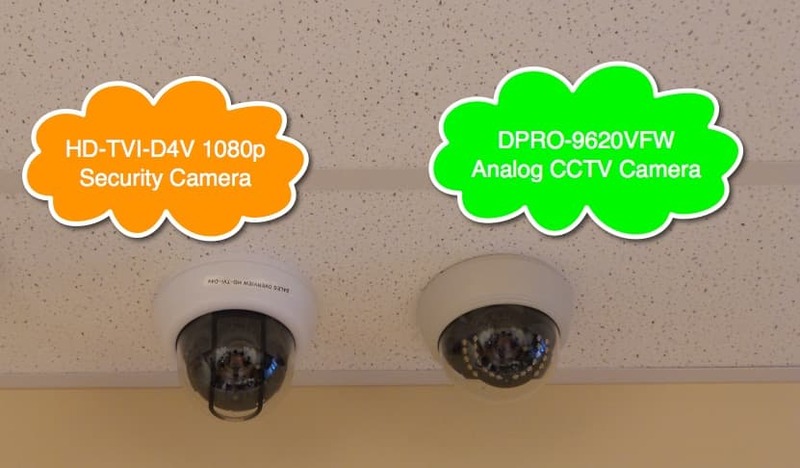 The two cameras that I used for this test are ceiling tile mounted at CCTV Camera Pros office. If you do not know what CCTV is, it stands for closed circuit television and it is the technology that has been used for 90%+ of the security cameras worldwide over the past 20 years – before the invention of network IP cameras and HD over coax cameras (like HD-TVI). The analog camera that we used for this test is located in the upper left of the screen. It is a DPRO-9620VFW indoor dome CCTV camera with a 2.8-12mm varifocal lens. This camera supports 960H resolution which is 960 x 480 pixels. If you are not familiar with HD-TVI, it is a high definition video standard used in some of the latest 1080p security cameras. It allows installers to use the same RG59 and RG6 coax cable that is used in analog CCTV installations, HD-TVI supports 1080p video resolution. If you would like to learn more, I suggest that you check out this article – What is HD-TVI? The HD-TVI camera that we used for this test is in the upper right corner of the screen. It is a HD-TVI-D4V indoor dome HD-TVI camera with a 2.8-12mm lens. It supports 1080p resolution – 1920 x 1080 pixels. The lenses of both cameras are set at the widest angle, which is the 2.8mm setting. This is what each camera looks like when they are viewed full screen on the DVR using a 1080p monitor. Here is the full screen view of the analog camera. When the image is resized to width of 700 pixels to fit properly on this web page, the analog camera looks good. However, if you click on the image you will see what the analog camera looks like when viewed full screen on a 1080p monitor. 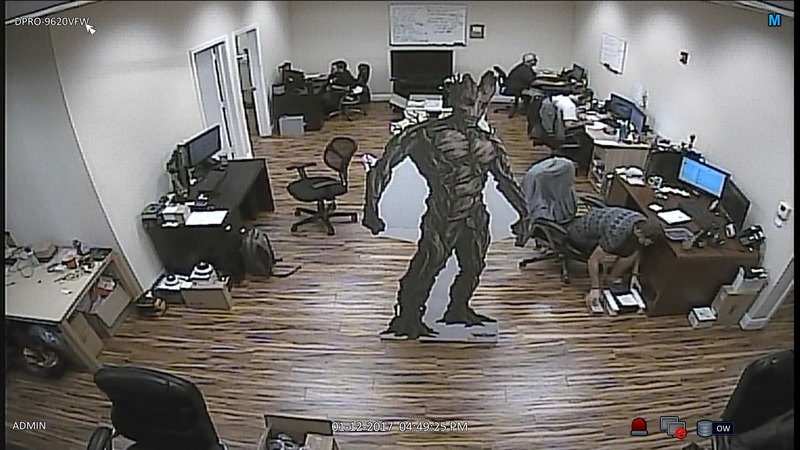 The lack of resolution supported by analog CCTV becomes very apparent. Next, click on the above full screen image captured by the HD-TVI camera. You will see that the image is crystal clear at 1080p because that is the resolution that the camera natively captures. In answer to the original question, HD-TVI camera resolution is WAY better than analog CCTV. 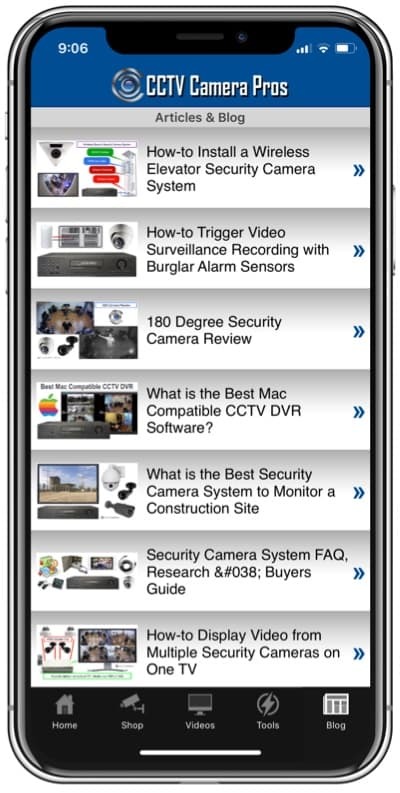 Anyone considering a new video surveillance system should be sure to get high definition. For those who have existing analog systems and want to upgrade over time, you should look into a hybrid DVR that handles both camera types. That way you can leverage your existing cameras and upgrade to HD over time.